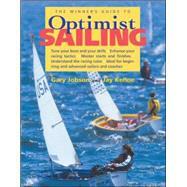 Sailing Books - Books on Sports - Sport Books: Catalog of books about your favorite sports. 2019 Sailing books on sale now. Buy your 2019 Sailing books with us today. We have many Sailing books to choose from and each purchase comes with the ease and convenience of Sportspool's online experience. We hope you find the Sailing book that is perfect for you! "Written by one of the best-known figures in all of sailing and a leading authority on Optimist sailing and racing, 'The Winner's Guide to Optimist Sailing is the ideal training manual for young skippers, their parents, and their coaches. The most comprehensive sailing guide to the International Optimist dinghy class features: Step-by-step instructions on every aspect of beginning sailing More than 100 stunning photographs and helpful illustrations Useful tips and winning tactics for competitive racing Special advice sections for parents and coaches"
"The essential information boaters need--onboard and at their fingertips On the water, when questions arise, there's no time to search through an exhaustive manual. 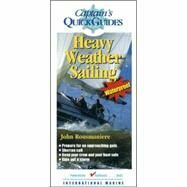 The 'Captain's Quick Guides provide all the answers--fast. Drawn from the world's largest boating library, each laminated Quick Guide presents 14 color panels of authoritative, concise information on a critical topic, designed for onboard quick reference. Quick Guides are: Hinged and laminated for durability and resistance to water damage Carefully organized with color illustrations for instant, easy answers Ideal for emergency situations with an at-your-fingertips format Just right for tight quarters, where space is an issue"